The Grey Wolf Travel trailer features a U-Shaped Dinette & leather sofa on a large slide out, front walk-around bed with rear double size bunk beds! Excellent condition, pristine interior- very comfortable and clean. This unit is the top of the line limited edition with all the options, and can sleep 9-10 people. Central heater & A/C, hot shower, private bathroom with separate entrance door, full kitchen. 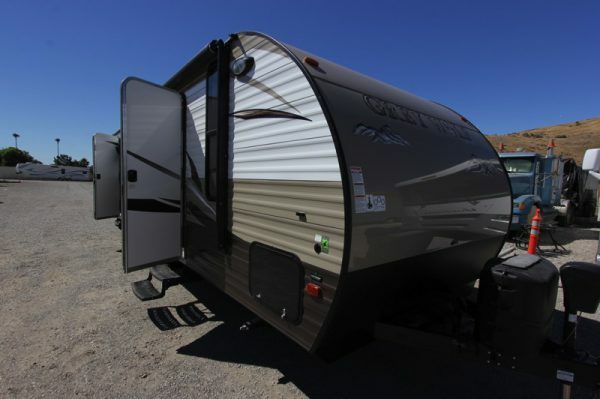 The 27′ Grey Wolf Travel Trailer can sleep up to 9 adults. Plenty of room for a large group.